UX Lausanne 2014 conference inspired a local and an international audience by offering a variety of perspectives about our nature. Our souls, our lives, our day-by-day is more and more widely influenced by the contribute of new ambitions, cross knowledge and the errors we keep solving from past. Contemporary life is easier – he hope for better, but it might not be. Is that good or bad? What if we are designing futuristic visions of an organism that is slowly swallowing us till nature is destroyed? Will we be able to coordinate our expanding skills towards the benefit of a better universe? We all guess so. Human beings are just a small part of it, and till now, we have been effective not only spoiling things but fortunately, also virtuous improving an increasing number of lives too. We can thank that to great minds, experiments and new findings. The will to create useful things that help others, that are accessible, sustainable, delightful, etc… is rescuing us from the increasing data pollution where information becomes obsolete. Production, sharing and wasting speed is showing its cons and among many other professions, designers exist to help solving it. Will there be a counter-technique to turn data into information, information into knowledge, knowledge into wisdom? What's the designer key role on that? How does he sell his thoughts in a world where production and consumption level reached a critic state which generates bad quality products, poor user experiences, lack of sense and countless disadvantages for users? Clients continue to disregard UX as core from what they want to provide to their costumers. And for that, designers and user experience architects need to succeed (more and better) on their selling process. They need to know how to communicate and clarify the profit from design strategies, creative/critical thinking methods that redefine the clients' brief and concept. To build up that trust, that empathy, designers need to adapt sales mechanisms and assist others understanding the design process. Birgit Geiberger and Peter Boersma's talk and workshop ensured you keep all that in mind. There are “different ones”, many kinds and many uses. It might even be processed differently from everyone. Indi Young elucidated some of them, theoretical and practically. Both, talk and workshop's exercises, were fundamental to discern the differences between an active or passive attitude while communicating with others. And by being conscious of some definitions, you can take advantage from listening much more than you would ever think. Because “thinking” brings curiosity, assumptions and analysis, and in case you want to research about users and interview them, you shouldn't interfere on their flow but leave space for a comfortable empathy that lets you get to deeper conclusions. As more as you know from users, more you can delight them. As an example, it's proved that after something bad happened, users experience something “okeyish” as something much greater and pleasurable, which means involving users' expectations on design strategies can bring innovative ways to create gratifying experiences. Giles Colborne spoke about some extensions of that, as how interfaces' simplicity and efficiency improve interaction results and how can we measure that. UXLS'14 blended together creativity and pragmatism, ideas, thoughts, facts, feelings, among many others, connecting a community interested in exploring the possible linkages to what “Creating delightful User Experiences” means. :ratio & UXRomandie gladly presented us with 2 days of 8 engaging talks and 8 inviting workshops about how people deal with their environment, whether communicating with people, interacting with objects, experimenting virtual worlds or whatever surrounds their realm. 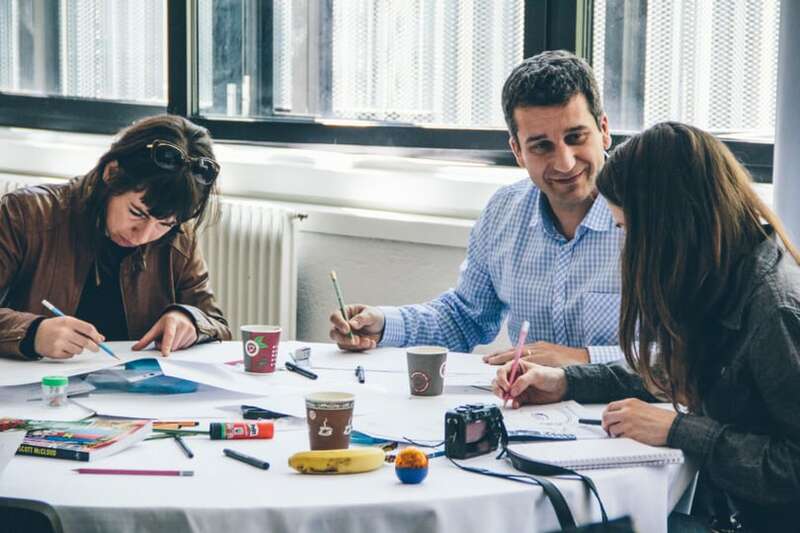 Every single minute was full of experimentation, interpretation, evaluation and reinvention, and what an interesting way to spend 2 days absorbing little details that leave room for big developments. Us – now speaking for Liip – Managers, Developers, User Experience Architects and Interaction Designers (yet, not only), do keep an eye on building a delightful world, being ambassadors of significant web experiences. As an UXer, I'm proud to be part of such a supportive team, dedicated to solve real life problems by creating experiences that have an impact on users lives. I would like to congratulate everyone involved in this amazing event, from staff to all speakers and attendees, people that strive for the same purpose as me, or support others doing it. L'Arsenic Theater was the stage for this first UX Lausanne conference which Liip supported including a closing apéro @ Bourg Plage for all participants. I hope to see you there next year! 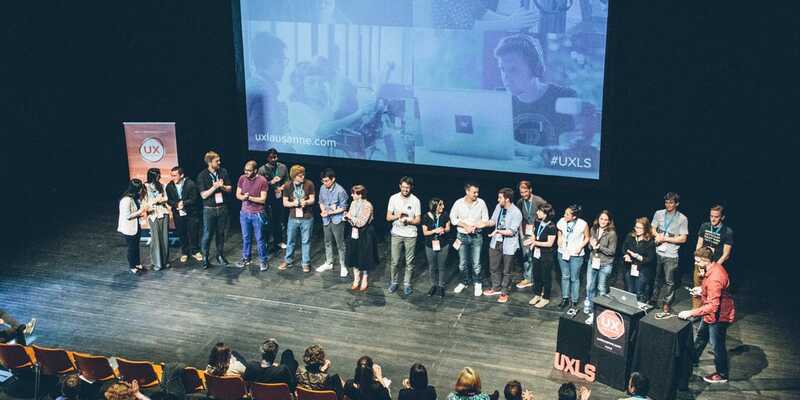 Get a glimpse at the 2014's edition at UX Lausanne's flickr. PS – If you would like to have a detailed idea about each talk, I would invite you to read Rockpool Digital's UX Blog.